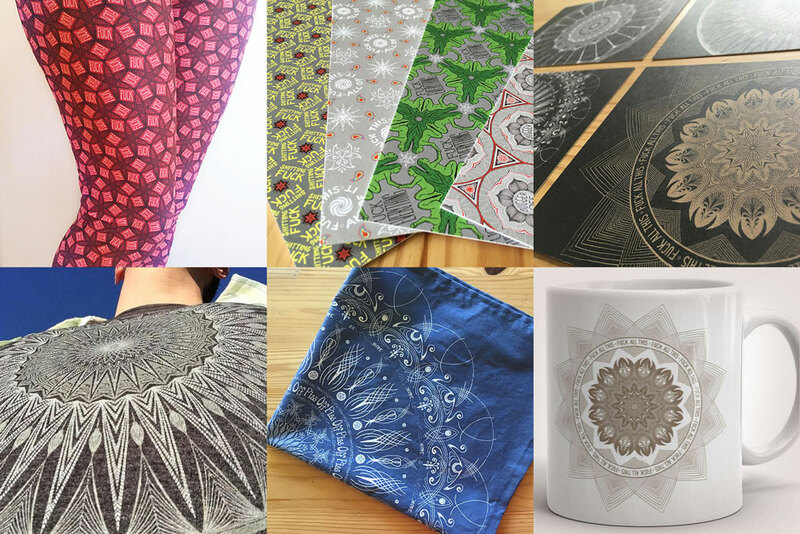 Her Etsy shop secretbean stocks all kinds of merch with these "swearing patterns" -- bags, scarves, prints, mugs, throw pillows, clothing, and more (even swimsuits!). You can also find her on Spoonflower where you can buy wallpaper, fabric, and wrapping paper with her patterns. On Roostery, you can get "swearing pattern" tablecloths, curtains, table runners, and the like. And, on Paom, you can get premium clothing with "all over prints." Finally, go follow her on Instagram!